As the Founder of the Seattle-based Social Ventures Partners International, he's built a global network of thousands of social innovators, entrepreneurs, philanthropists, and business and community leaders that fund and support social change. The international nonprofit community recognizes him as one of the top experts on curtailing complex problems. His programs have equipped individuals and organizations around the world with a roadmap and determination to solve the issues that they are passionate about. Paul Shoemaker is a mastermind at knocking down the barriers and curtailing social problems. As the Founding President of Social Ventures Partners International and SVPI’s former Executive Connector, he’s brought together social changers, researchers, and philanthropists in 38 cities and 8 countries to make things happen for almost two decades. 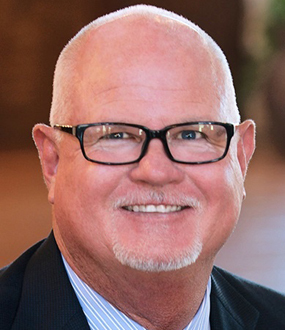 In 2011 and 2012, Shoemaker was named one of the “Top 50 Most Influential People in the Nonprofit Sector” by The NonProfit Times, and in 2013, was named “Philanthropist of the Year” by Future in Review. 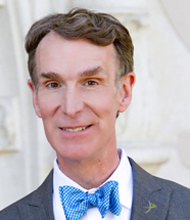 In 2015, he received the 2015 Microsoft Alumni Integral Fellow Award. 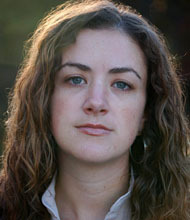 Shoemaker has spoken at TEDx and United Nations events and has written for the Stanford Social Innovation Review, Fortune, and The Huffington Post. His book Can’t Not Do is a must-read for anyone in the non-profit sector, government, or businesses embracing corporate social responsibility. If you’re out to change the world, Paul Shoemaker is there to connect you to the people, ideas, and organizations that matter. 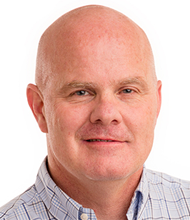 Paul is the Founding President of Social Venture Partners International (SVPI) and was the Executive Connector of SVP Seattle for 17 years. With insights from this unique vantage point, he is the Northwest’s leading expert on activating social change agents and a global thought leader on how individuals can be the most effective philanthropists. 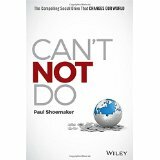 Paul is the author of Can’t Not Do: The Compelling Social Drive that Changes Our World and has received multiple awards. In 2011 and 2012, he was named one of the “Top 50 Most Influential People in the Nonprofit Sector” by The NonProfit Times, and in 2013, was named “Philanthropist of the Year” by Future in Review. 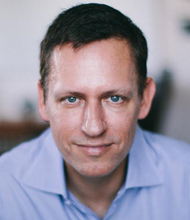 Paul has spoken at TEDx and United Nations events and has written for the Stanford Social Innovation Review, Fortune, and The Huffington Post. Paul is committed to work in the community and currently serves on the Board of Directors for SVPI and Partners for Our Children. Past work includes a term as Board Treasurer of Grantmakers for Effective Organizations (2001-2007), as well as board service for the Microsoft Alumni Foundation (2008-2013) Children’s Alliance in Seattle (1996-2000) and Treepeople in Los Angeles (1987-1990). In previous careers, Paul was group manager for worldwide operations at Microsoft Corporation and developed a group of 22 direct marketing professionals and implemented a direct marketing infrastructure. Prior to his work at Microsoft, Paul was a Product Manager at Nestle USA in Glendale, CA. Paul holds an MBA in Marketing and Finance from the University of Texas and a BBA in Accounting from Iowa State University. Paul enjoys life with his wife and three sons, and is an avid sports fan, especially of his own kids’ teams, and “enjoys” his hobby as a high school basketball referee. More than ever, humanity has the possibility to solve challenges that hurt society – issues such as gang violence, failing schools, and poverty. Thanks to social science research, ample financing, and technology we know the roots of such problems and have viable paths to mitigate them. Why then, according to the news, does civilization seem to be on the edge of collapse, weighed down by insurmountable dilemmas and no hope in sight? Paul Shoemaker outlines how to take on social problems through the power of networking. Drawing from his decade-plus experience connecting all the right people in 38 cities and 8 countries to curtail the issues daunting their communities, he shifts mindsets from can’t do to can while detailing guidelines for approaching and executing solutions to topics such as failing education systems, gang violence, and teen pregnancy. Whether you are from a nonprofit, government body, or a Fortune500 that has realized that social corporate responsibility is key to gaining a competitive advantage in the 21st century, Paul’s stories and insights on what works and what doesn’t will help your organization make smarter use of its resources, energy, and human capital when it comes to solving problems and improving our world. Conventional wisdom holds that we need more innovative solutions or money to solve our world’s complex social problems. The truth from the trenches is: we already have numerous proven solutions for our many challenges; what our world needs most are more people prepared to act on their social drive to become truly committed to an issue, for the long haul. Paul Shoemaker – founding President of Social Venture Partners International and a leader in the engaged philanthropy movement since day one – uses a mix of storytelling and seven questions to inspire and remove perceived obstacles, and unlock people’s potential to become positive change agents in their communities and world. Can’t Not Do will help you be inspired to personally bridge the gap between ‘wanting to do’ and ‘doing’ something for a chosen social cause. You’ll understand the drive at the heart of a successful change agent, and gain confidence in your own ability to make a difference. Like others before you, you’ll break through self-imposed barriers and start seeing yourself as change agent. Can’t Not Do captures the heart of an effective change agent. It echoes the most common explanations of their passion and drive: I can’t not do this. These are people who have made a decision, at some point in their lives, that there is some burning cause in their world that they must do something about. The surprising truth from the trenches is that we already have numerous proven solutions for our many challenges and what our world needs most are more people prepared and unafraid to act on their social impulses and commit to a cause for the long haul. You may at first think there’s a vast divide between yourself and these change agents. But the truth is successful change agents share some fundamental orientations to the world and to the commitment they’re willing to make and, over time, learn certain lessons that help them become more effective. These lessons are reflected in seven seemingly simply questions that provide a guided inner dialogue and unlock a reader’s potential to make a difference for social cause they care about. These authentic stories, vital questions, and unconventional answers will guide and inspire you to realize your greatest potential.